Home grooming is for pet parents who have a trusted relationship with their pets. They may groom their dogs or cats regularly or do a “touch up” between grooming appointments. Successful home grooming requires the right tools and patience. As wellness for dogs and cats becomes more important to pet parents, the pet industry is seeing natural and organic products growing in popularity. Pet parents may study the ingredients in grooming products like shampoos and conditioners to keep their pets healthy and to avoid allergic reactions. Many prefer products that do not contain paraben, sulfate, phthalate and artificial fragrances and ingredients. 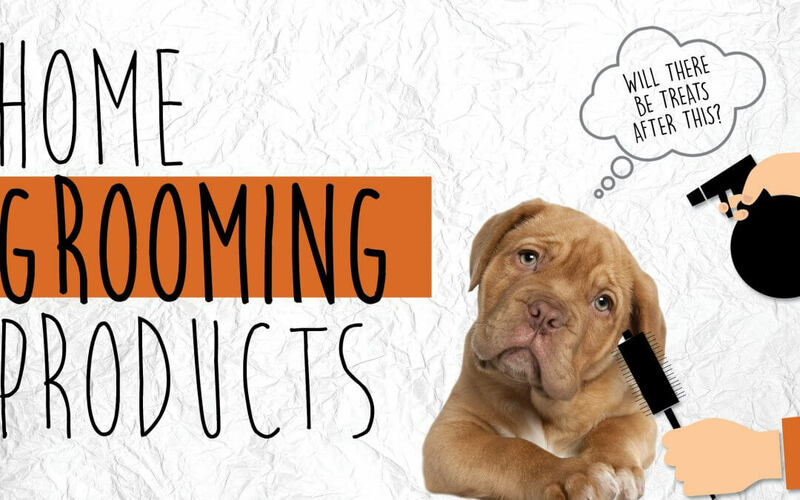 Today’s pet parents may also seek products that are cruelty-free in development and production. No dog owner will disagree that their beloved canine can stink. A dog may need a bath every six weeks or more frequently, depending on its breed, health and environment. Coat trims are best done when the hair is dry, not wet, and the grooming routing can include a nail trim. Most dogs do well with brushing and bathing, but it may take patience and a few tries before a dog settles into home grooming. When trimming or cutting hair, it takes a well-behaved, calm dog or two people to keep the pooch safe and make the haircut even. Pet parents must decide if grooming at home or by a professional is the best for their dog’s temperament and age. A regular visit to a pet groomer or a bath at a local pet store’s wash station may be more successful than home grooming. While cats do a lot of grooming on their own, they may occasionally need a bath or help with flaking, dry skin. Cats with long hair may need regular brushing. Nails should be trimmed every few weeks to save carpeting, furniture and your skin from scratches. If you ever tried to bathe a cat or trim its nails, you know it is not always possible. Most cats have “sensitive spots” on their bodies that they do not like touched. Many freak out when they get wet. Some cats don’t even like having their coats brushed. Gentle brushing is a good first test to determine tolerance to handling and grooming. For pesky felines who refuse to cooperate with home grooming, professional groomers for bathing and the veterinarian’s office for nail clipping may be the answers. To home groom, be prepared with the right products. Plus, have treats on hand to reward your cat or dog after a nail trim, bath or brushing. Coat Products: Combs, brushes and shedding blades for the right length of fur; grooming shears; shampoos (wet and dry) and conditioners; powders and sprays for de-shedding, itchy/dry skin relief and allergy prevention; and odor control products like wipes and sprays. Nail Products: Clippers, grinders and styptic powder (to stop bleeding). For white nails, avoid cutting the quick, the pink area in the nail with blood and nerve vessels. For black nails, clip a bit at a time until you see a black dot on the tip. For pet retailers, pet grooming products can have a high sales margin. Consider grouping the grooming tools and products in one area of the store under a “Spa & Wellness Supplies” sign to attract customers who are devoted to soft, clean dogs and cats.